Energy drink machines have become the latest money makers in the can machine business. These machines have the ability to dispense 16oz drinks, 12 oz cans or 20oz bottles in the same machine. We do not sell 'Club Store' machines. We sell 100% commercial models. They are built for use by large vending companies. The current models of many of these can and bottle vendors sell for as much as $4400 each new to over $5500 each for glass front units. Soda vending machines can form the backbone of your vending business. 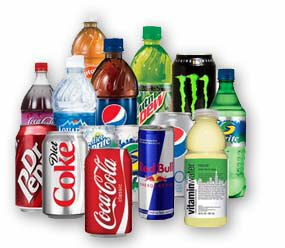 Beverage and soda machines are among the most popular vendor models in the business. Soda vending machines are so widespread because of their commercial effectiveness and appeal to a large pool of potential customers. Beverage drink machines provide people with instant refreshment, 24x7x365. Existing small and large businesses with some available space can easy install vending soda machines for additional revenue and better customer experience. They are also a great model for entrepreneurs looking to improve their cash flow, as soda machines can be placed almost anywhere. Supermarkets, retail venues, community centers, business parks and even schools can be great locations for installing soda vendors. The vending machine nearby is appreciated by anyone in need of a cool drink but without enough time to visit a regular shop. And a properly run vending business will quickly expand from a soda vending machine to providing more choice in the form of food or coffee vending as well. Choosing the right brand of soda, the right place for locating the soda vending machine and the right supplier to provide adequate support and warranty will always be the key to a successful soda vending machine business. Soda vending machines are a popular source of convenience, with a well-known market, and with proper business research, soda vending machines may become a good income source. Soda vending machines are effective in all seasons and work well in conjunction with snack vending. VendingWorld has the largest selection of used vending machines to choose from – no matter what type or brand of vending machine you are looking for, probably we already have it in stock, already refurbished to the same standard as when it left the factory. At any moment we have around 300 vending machines in stock, with more snack or beverage equipment we can refurbish in a very short time if required. If you cannot find the soda vending or snack vending machine you are looking for on our website, please contact us and we will do our best to find it for you. Launching your vending business with used soda vending machines is a great start both in terms of the small initial investment and the flexibility it allows your enterprise. You can customize with can shims and bill validators to better suit your potential customers, and stock bottles, cans and energy drinks to give them a variety of options. Our soda vendors can also be equipped to sell multi-price items, optimizing even further your return on investment and your vending routes profitability. We are the largest supplier in California for refurbished vending machines and any type of used vending machine your business needs. We also carry many accessories and vending parts to meet your needs, including coin mechs, bill validators, vending locks and flavor strips. We have been selling vending equipment since 1968 and can fill almost all of your general vending needs. Our experienced staff is always available to assist you! We sell Dixie Narco vending machines that have been rebuilt to the highest standards. All machines have been pressure washed, sanded and prepared prior to painting. All coin mechs and dollar bill validators have been rebuilt. All signs and side decals have been replaced. All of the machines have been painted inside and out and tested with product after refurbishing. All machines on this page are A-rated. These machines and have been rebuilt to the highest standards. Single price machines can only vend 12 oz cans. Multi price machines can hold 12 oz cans as well as 16 oz energy drinks with minor adjustments. Multi price vendors can also be set to vend 20 oz bottles with bottles shims. If there are any SALE ITEMS they are listed in red box above the price. • Plugs ideal for use with beverage dispensers, food & snack dispensers, etc. All refurbished soda machines sold on this website come with UL required GFCI units (shown above). Please make sure that the electrical source where the vending equipment is installed has proper electrical service with a 3 prong grounded outlet installed. This will insure safety when operating this equipment.